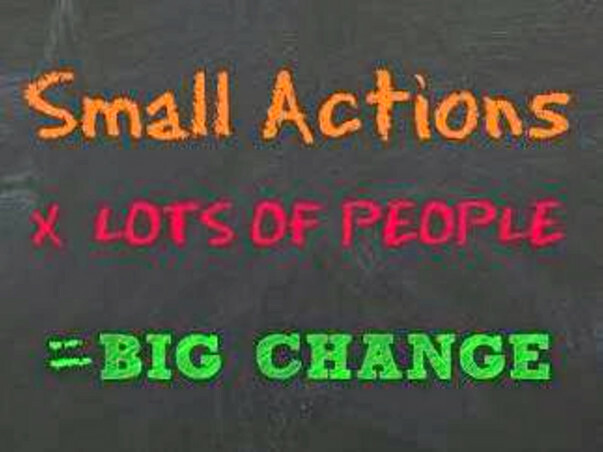 I am a volunteer with a few associations who are working towards sustainable menstruation in various parts of India. I am also associated as a volunteer with Naya sawera NGO in Jaipur, which among other programs also has a Sanitary pad program for underprivileged girls/women. Disposables are not at all a sustainable option for the individual as well as the environment. The NGO is convinced of supporting and distributing sustainable menstrual products but funds are a constraint since there is one time initial high investment. This is the reason I have started this fundraiser. With the amount received we intend to buy packets of cloth pads and distribute to young girls. It will be a one time investment of RS. 600 for one packet(4 cloth pads) which is sufficient for one cycle and reusable upto 2-3 years. If we raise the entire target fund we may help 100 girls bleed green. 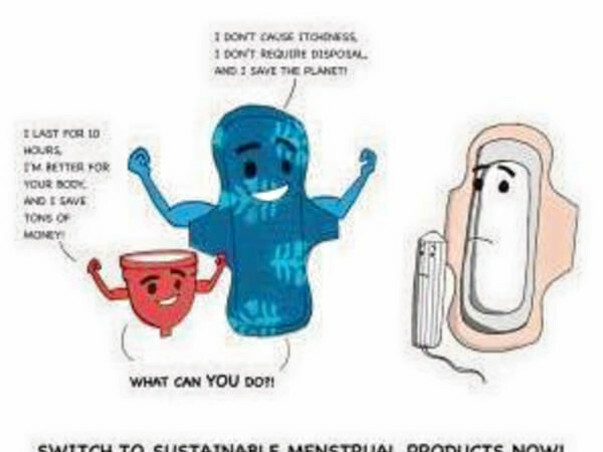 Why sustainable menstrual products ? 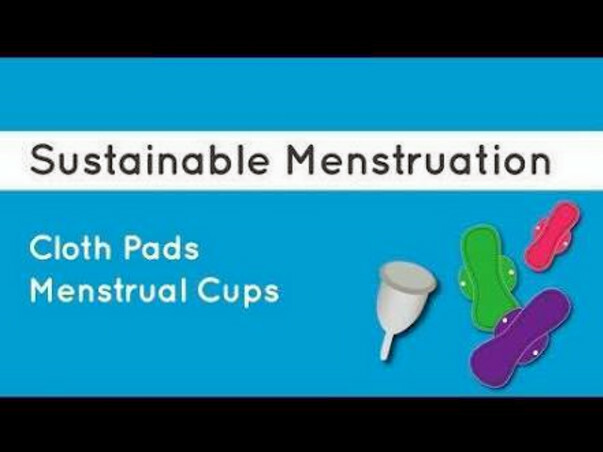 In the drive to make sanitary pads accessible to rural/underprivileged girls/women it is being ignored that not only these disposable pads are super expensive affair, they are not at all environmental friendly and also cause rashes and other health problems. 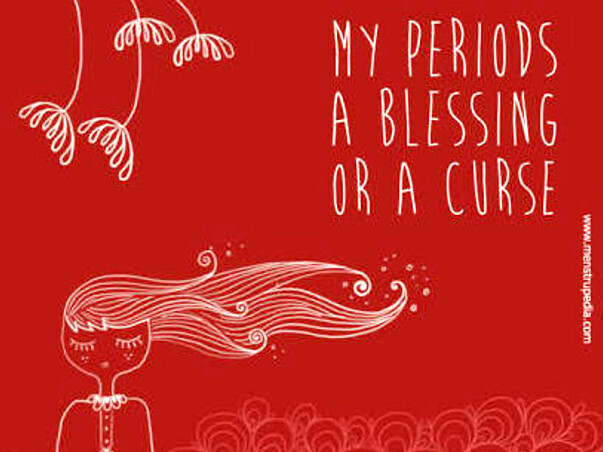 It is high time that awareness on alternative sustainable menstrual products is created. 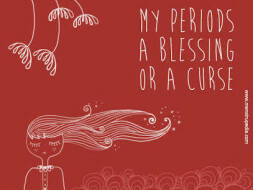 It is estimated that a woman uses up to 10,000 sanitary pads during her reproductive age. Most sanitary pads contain a lot of plastic. Each pad may take 500-800 years to decompose. Indian villages and cities have no way to manage this waste. Incineration is being proposed as a solution. But the costs of scientifically-managed incineration are prohibitive, with bio-medical waste incineration firms charging as much as Rs 22/kg of sanitary waste in Bengaluru. Some schools, colleges and workplaces have installed mini incinerators which are a lot cheaper, but burn waste at temperatures far lower than the 800 degrees recommended by the WHO, which may lead to harmful emissions. Some women flush down disposable sanitary napkins after use, clogging underground drains. 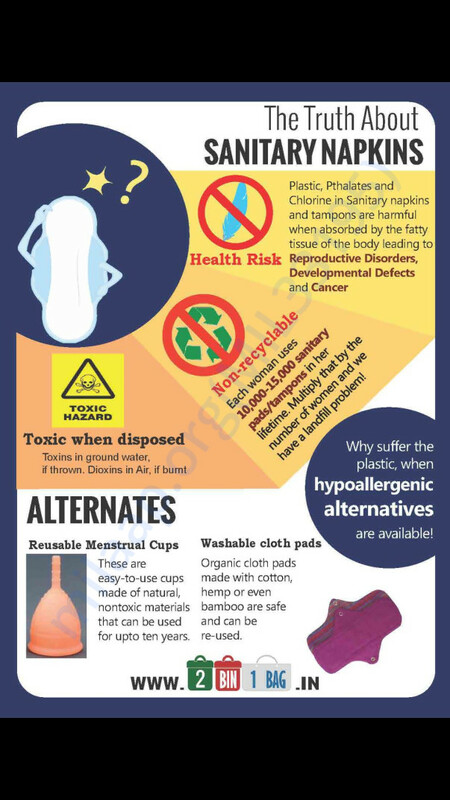 Reusable menstrual products like cloth pads and menstrual cups are the right choice from a medical and an environmental perspective. A single cup may last up to 10 years and one cloth pad up to 3 years. They are a perfect solution for the objectives of Swachh Bharat Mission. Disposable products also contain chemicals that several women are allergic to and which can be potentially carcinogenic. In fact cloth is a perfectly safe option but the shame attached to menstruation and cultural taboos often lead to its unhygienic maintenance.